Royal Enfield Robot or Art ? I was at the Royal Enfield service station for a minor issue on my Bullet and was fascinated to see this amazing piece of art .. 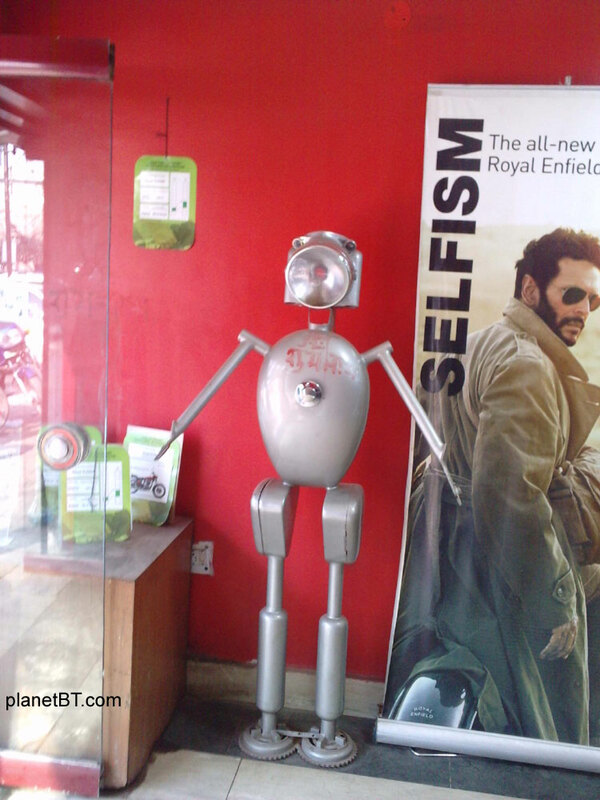 Robot Royal Enfield! 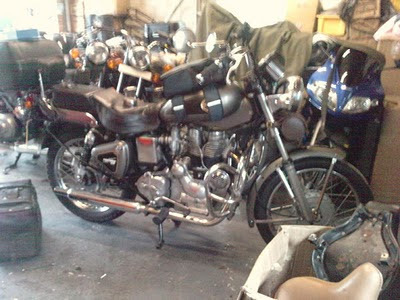 I do not know if it is distributed by royal enfield to all showrooms! If you observe closely, you can see its made of ... if i got it right - The Headlight with its small beady eyes + front forks + fuel tank + side boxes +exhausts + chain spock ! Indeed the Enfield amazingly never ceases to amaze ! 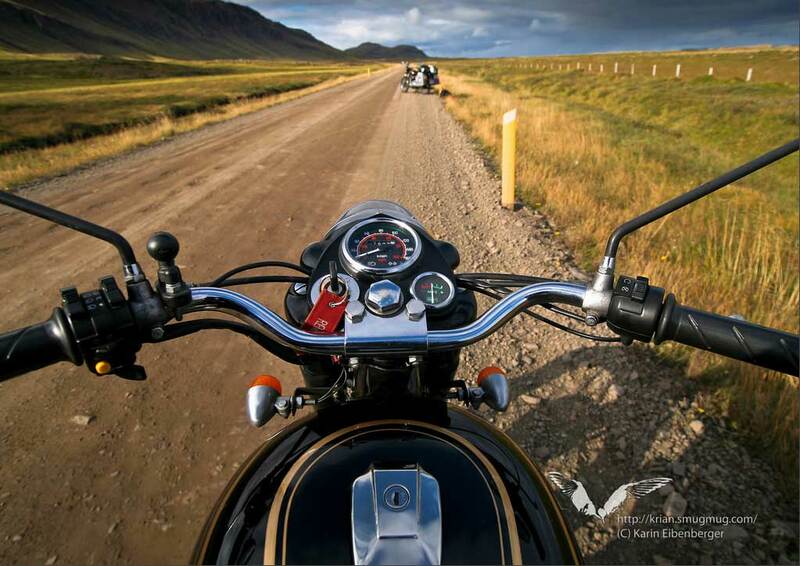 Motorcycles have a grand following. 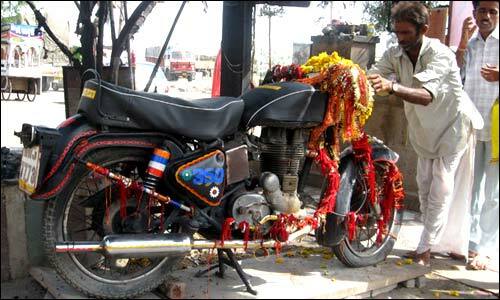 Harley has its great worldwide fans.But seriously...not fan enough to have a shrine ! Well - On the Jodhpur highway, a few km from Pali there is - A shrine to the Bullet Baba!People offer prayers to the bike and its late owner Om Singh. Details can be had in the following links below. Creation of Art is many times influenced by things around. Subodh Gupta , a renowned New Delhi based artist has made a art form of the Bullet in chrome n brass.He has rightly identified the iconic status of the Royal Enfield in India and turned it into a class art work. 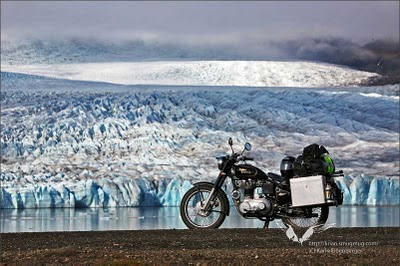 A Bullet is for ever- Lets hope we get to see more art on the Royal Enfield Bullet! Motorbiking has not been too much regular these days ... some other things take priority! Some snaps from the weekend ride.I tried to get some sunshine on chrome. Im sure these are minor roadblocks on a city road in India. Exciting ? Whatever *&^%#. Proceed..speedo 60-70-80-90 -and on .... (Thought:WTF... when will ya stop - when the fuel is over or the piston ceases!) Whatever *&^%#. Fly You Fools - Indian Comics about Life. Ingenious contraption- Enfield it ? Ingenuity is inborn in human beings to solve problems. Imagine you have to carry a lot of things to another place regularly. You can't afford a small pick up truck or auto! 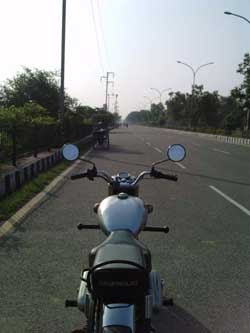 What would happen if you cross a -> yamaha motorbike front wheel+fork with a bajaj scooter headlight/speedo console and tractor clutch plus a bajaj scooter engine and a simple cycle cart and cycle frame ? --- You can see the small scooter engine underneath. I'm sure you might have seen this in and around Delhi region! Legal aspect and certification ? ~Dayyumm it! Admire the genious who made it and the daring who ride it ! 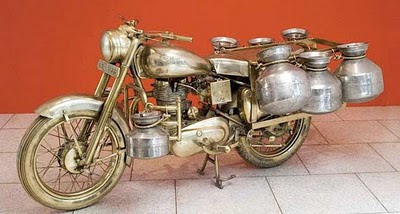 I personally feel that this would be better with a Royal enfield engine - adding a thump to this contraption ! I don't know much on John Abraham (Indian film actor) and motorbiking but yes he did get a Royal Enfield based Custom Board Track Racer (modified enfield bike). 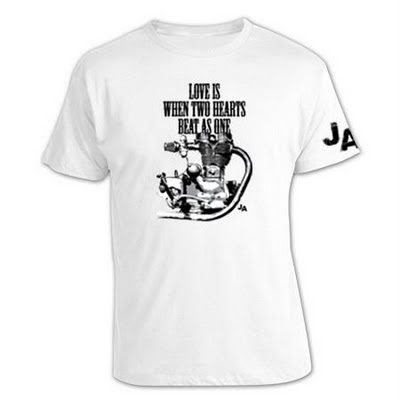 I was surprised to see a T shirt for sale branded by him saying... Love is when 2 hearts beat as 1 ! With a royal enfield engine as a background! 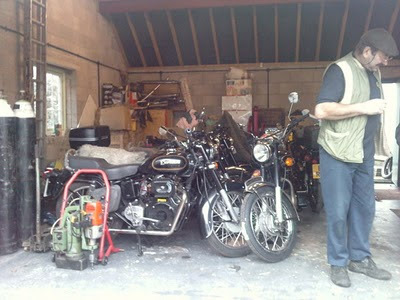 I do hope Royal Enfield is mentioned somewhere ! Friends when leaving feedback,please mention ur mail id because many do not have complete blogger profiles and I can't say thanks! - You can easily move heavy stuff around ! - You knew the day u were born that - EVERYBODY makes way for the BULLET ! 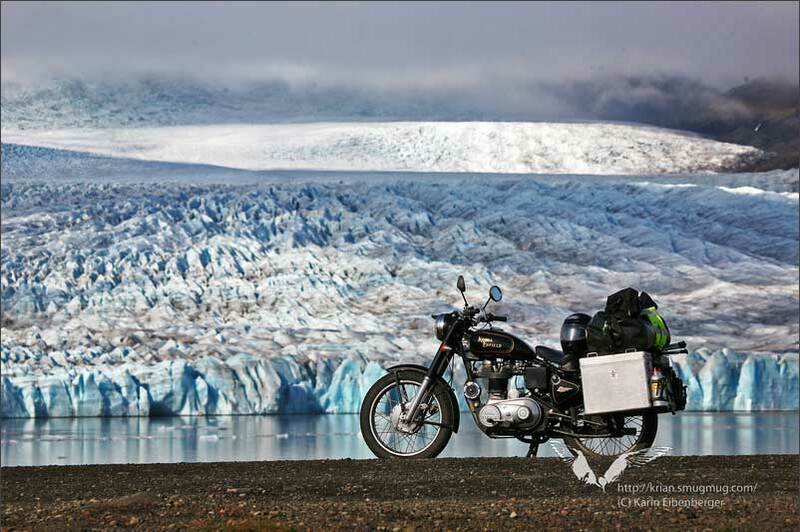 - You count riding the Enfield as one of Life's Greatest Experiences! - You ever bought saddlebags so you can carry more beer. - You have motorcycle parts in the dishwasher. - You're only sunburned on the back of your hands. - Your kids learn to ride on the back of your bike before they can walk. - You choose an apartment solely on the basis of whether or not it is flat enough to ride into and how close the good roads/trails are. - Your bike trailor is worth more than your car. - The first thing you ask when you regain consciousness is "How's my bike". - You actually move farther form work so your bike commute will be longer. - You dream of winning the lottery, and the first thing you think of is "how many/which bikes can that money buy?" - You can tell your significant other with a straight face that its too hot to mow the lawn then take off and ride for three hours. - You pull up hard on the steering wheel trying to jump your car over a speed bump. - You know the distance of every point of interest within 100 miles of your house as well as the location of every pot-hole along the way. 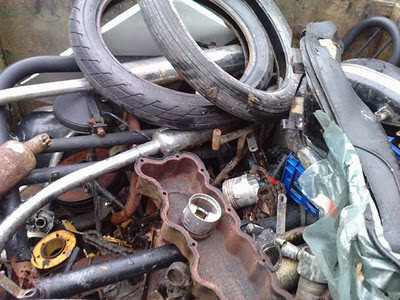 - You refuse to buy a couch because that patch of wall space is taken up by your bike when it needs repairs. .... Anymore .. do send ! Some links so Enfield , you'll love it. 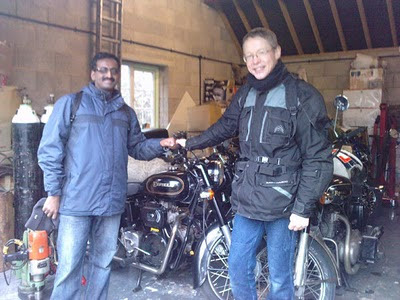 The freezing winter does not stop Royal Enfield enthusiasts to ride out. 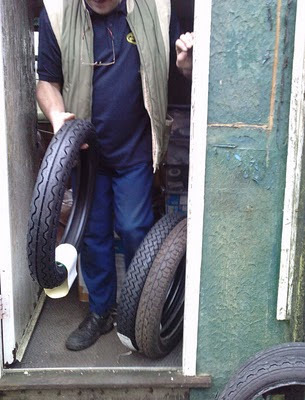 I had gone out to meet Henry Price in Berkeley all the way from Bristol.Henry Price does maintenance work of Royal Enfields and his garage speaks of the passion! 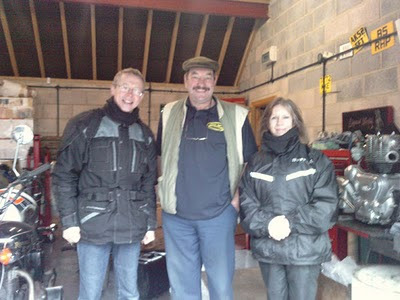 He does visit India often.Jacqui wanted to get her bike checked up as she's heading out to Spain on her Enfield !Tim who writes for classic bike magazine was there too. Henry converts Royal Enfields to diesel engines amongst other stuff. His garage below.Excuse the quality of snaps please! Below Henry's Lightning 535 with which he tours Europe! Henry says this bike was not much successful since the piston was too tight. He increased the bore size to resolve the problem! 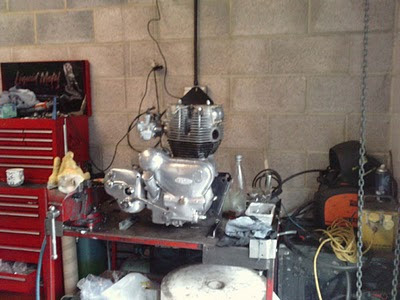 He is changing the 535 engine with a 700cc Enfield engine ! That's real power! All Enfield smiles - Tim,Henry and Jacqui! Henry has got a lot of Enfield used stuff in this big box ! If you want something you could try to find it here before going to get a new one! 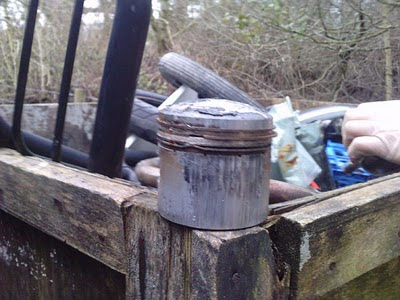 Voila used pistons - a 500cc one ! Henry shows us some tyres below.If you want a tyre with good road grip then its likely to wear off faster than one which is harder with lesser grip :) Make your choice! 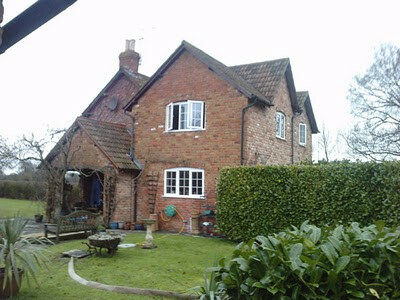 Henry's house in the countryside below! 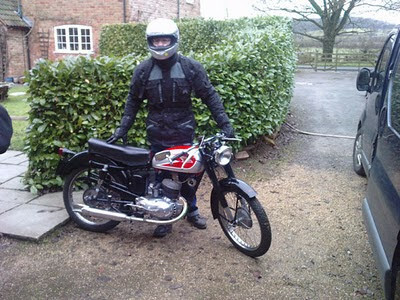 The roads are beautiful to ride on an Enfield out here!More details on Henry at his website (http://pricepartmotorcycles.co.uk/).